The Danielle is a harmonious cacophony of white faux pearls and cast gold metal in a unique design. Featuring petite silver beading and silver-plated magnetic clasp. Wear both day and night. 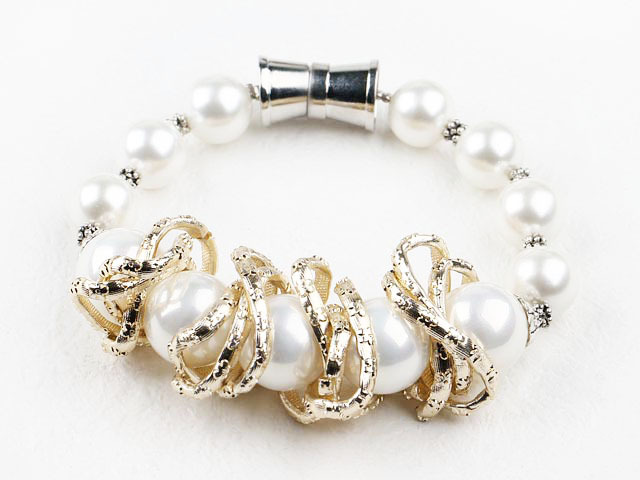 Oz Bling's online jewellery store brings you a diverse and extensive range of fashion accessories.